The Mamba electric grinder is the ultimate herb grinding tool. Just fill with herb of your choice, close the lid and press the rocker button to grind. The Mamba grinder is durable and easy to use. The powerful motor and forward / reverse switch allow it to grind anything from hops to hard nuts. The cone shaped outlet makes it easy to dispense ground herbs accurately to wherever you need them. 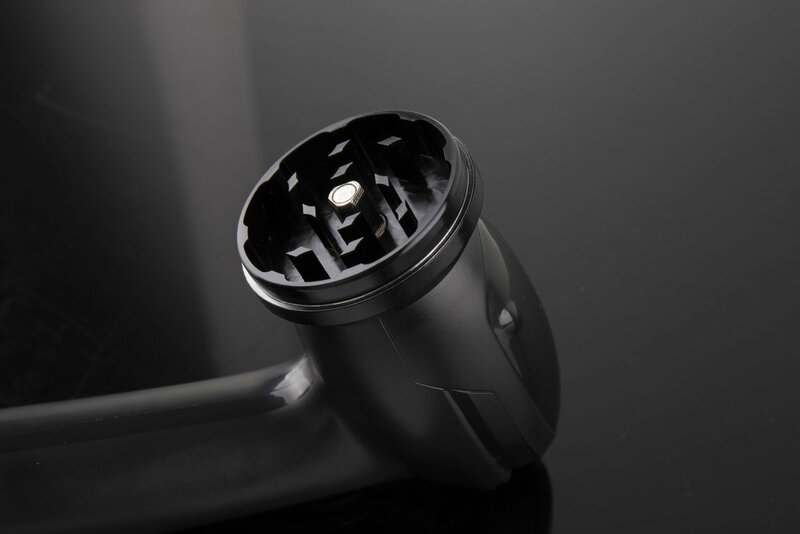 The slender, hand-held design makes it easy to transport and store the Mamba Electric Grinder. About the size of a wine opener, it fits nicely into a pocket or kitchen drawer. The Mamba is professionally engineered and made from top grade components. The aircraft grade aluminum teeth are very sharp and durable. Grind tough herbs without worrying about breaking anything. Product development to production, check-out our gallery and see what a Mamba is made of. Find out more about our organization, mission and methods.